The Winter Olympics in PyeongChang, South Korea are now a part of world history. Many in Clark County have forgotten a time in our history when we cheered on one of our very own Vancouverites who skied in the winter Olympics and whose life aside from competing was perhaps even more impressive. In 1948, we tuned our radios to listen for news of our neighbor, Gretchen Fraser, who was competing at the Winter Olympics in Switzerland. But there was more to Gretchen Fraser than her incredible victory. She was born Gretchen Kunigk in Tacoma in 1919. Her mother was an avid skier, who was instrumental in opening public skiing on Mt. Rainier. Gretchen was on the ski slopes as soon as she could stand. At age 16 she became a student of the famous Otto Lang, a film producer later known for “Call Northside 777” starring James Stewart, and “5 Fingers,” among other films. Before his filmmaking career, he operated a ski school and quickly recognized that he had a potential star in Gretchen. Alpine skiing was made an Olympic sport in 1936, and by that time, Gretchen was ready to compete. 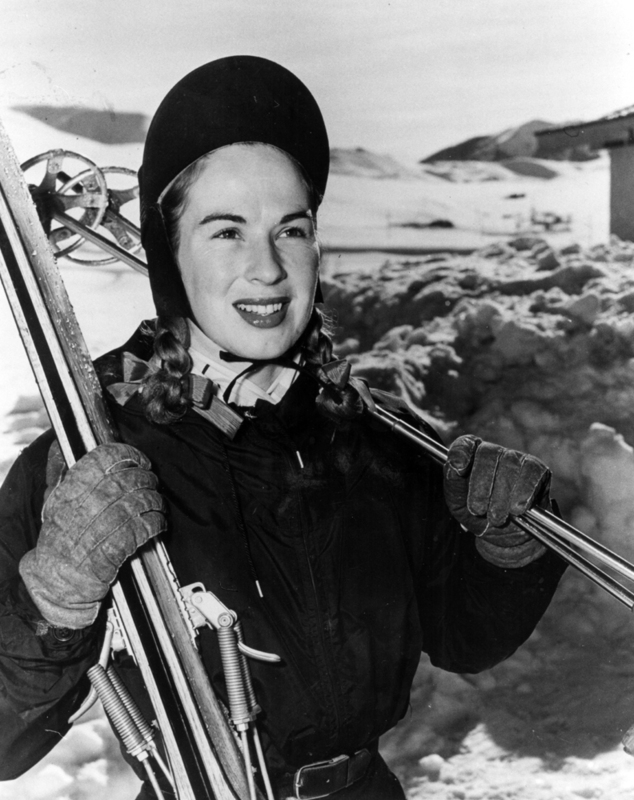 She made a name for herself as a skier in an era when few women entered competitive sports. As a result of her friendship with Lang, she was twice a stand-in for actress Sonja Henie (also an Olympic athlete in figure skating), skiing for Henie in the films “Thin Ice” in 1937, and “Sun Valley Serenade” in 1941. Averill Harriman, later Ambassador to Russia and aide to Harry Truman, operated a resort in Sun Valley, Idaho, and invited Gretchen to participate in an international race for the Harriman Cup in 1938. To read more, pick up a copy of the April 2018 issue at any of these locations, or view the digital archive copy here. Pat Jollota retired from the Los Angeles Police Department and came to Vancouver to find a new career in historic preservation. She was curator of education at the Clark County Historical Museum for 22 years, while almost concurrently serving for 20 years on the Vancouver City Council.